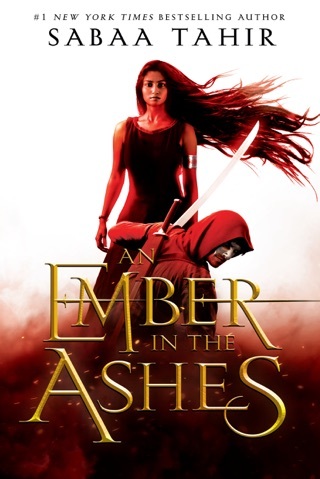 An Ember in the Ashes introduced us to Laia and Elias, a slave and assassin who join forces and rebel against the brutal Martial Empire, inspired by ancient Rome. 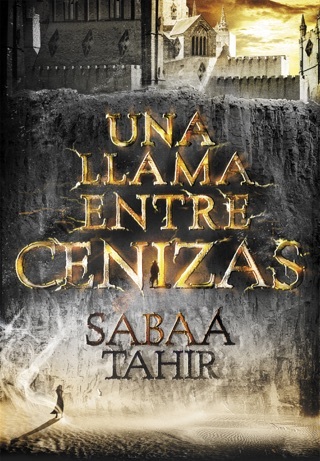 In this sequel, Sabaa Tahir cranks the action and suspense up to ten, pitting the unlikely allies against murderous and horrific antagonists. Tahir’s writing is dense and beautiful, evoking a world that’s shrouded in mystery and intensely dangerous. We were 100 percent invested in Laia and Elias’ fate. 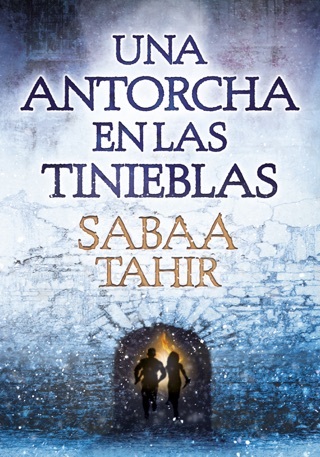 The sequel to Tahir's bestselling An Ember in the Ashes picks up where the last installment left off: Laia and Elias, fresh from the Trials that made them both traitors, barely escape the city of Serra with their lives as a Scholar rebellion tears the city apart. Elias is sworn to help Laia rescue her brother, Darin, from the prison of Kauf, held there for his knowledge of steelmaking secrets that could bring the end of the Martial empire. But Helene Aquilla, the new emperor's Blood Shrike and Elias's best friend from childhood, has orders to hunt down both of the fugitives or forfeit her own family's lives. Watching them all is the commandant of Blackcliff, ruthless in her hatred and hiding a sinister agenda of her own. 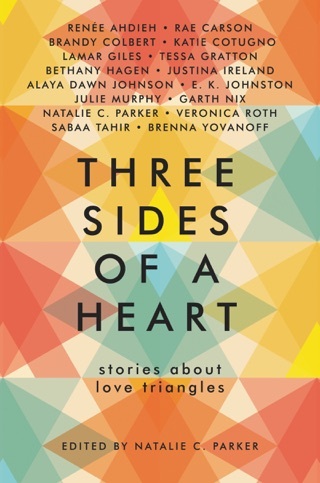 The shifting network of alliances and betrayals can almost be too elaborate to follow at times, but Tahir's skill with her characters is more than enough to hold readers' attention. This sequel has a darker tone and even higher stakes than its predecessor, setting the stage for a thrilling conclusion. Ages 14 up. 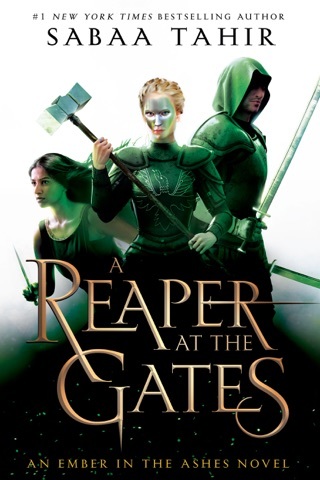 Sabaa Tahir's sequel to the amazing “An Ember in the Ashes”, "A Torch Against the Night" tells the story of Laia and Elias’ continued escape from Blackcliff Academy in Serra where the evil elite soldiers (Masks) are trained for the Martial Empire. 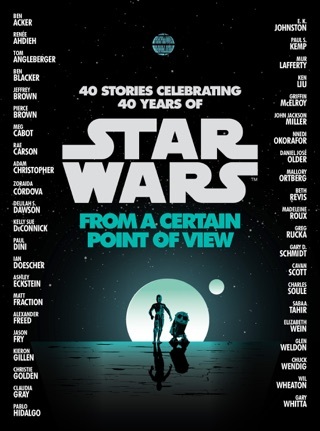 Laia, a Scholar and former Scholar revolutionary informant as a voluntary slave to the supremely evil Blackcliff Commandant, is determined to save her brother, Darin, from the worst prison in the Empire, Kauf. Elias, former Mask in Training and former Aspirant in the Emperor Trials, gave Laia his oath to help save Darin when she rescued Elias from his execution for failing the Emperor Trials. As they cross the empire, they have to stay hidden from those tracking them: Elias’ evil mother, the Blackcliff Commandant; Helene, Elias’ best friend from Blackcliff and the new Blood Shrike (lead executioner to the new Emperor); and all of the previously mythical horrors recently unleashed by the Nightbringer, who wants to destroy all Scholars. Helene, who was extensively tortured for Elias’ escape, is ordered to hunt Elias down while fearing the new Emperor’s designs on her family if she fails. The future of the Martial Empire and its enemies are at stake. 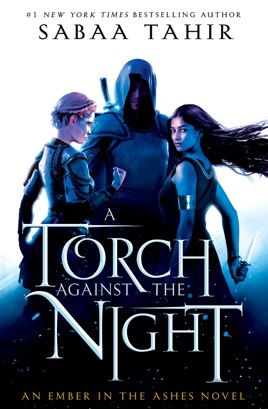 "A Torch Against the Night" is the incredible five star sequel to the amazing book, “An Ember in the Ashes”. The worldbuilding from the first book grows to include the Tribes. I like how Tahir portrays the strengths of each character while simultaneously showing how they cope with their previous or ongoing traumas. I like Laia’s quiet inner strength and Elias’ determination, like a legendary soldier committed to his just cause. Notwithstanding Helene’s position, it is easy to feel moved by her desire to serve her Empire, despite its transgressions (especially against her). The incorporation of the mythical horrors of the Scholar Empire helps this story transcend a typical 4 star series and become a series worth re-reading countless times. My opinion is solely my own, but I do want to thank Goodreads, Penguin Teen, and Sabaa Tahir for a copy of this awesome book. I haven't read a book this amazing and such a long time. It is easily one of my favorites and I'm sure will become the new 'twilight' of the time. I loved this book. I couldn't put it down. If you enjoyed the first one, you'll love this one.